We are here for your referral 24 hours a day, every day of the year. We will give you a quick response, so you know that the child or young person about whom you are concerned will receive our help and support as soon as possible. We recognise that emergencies happen and we do our best to help in these situations. 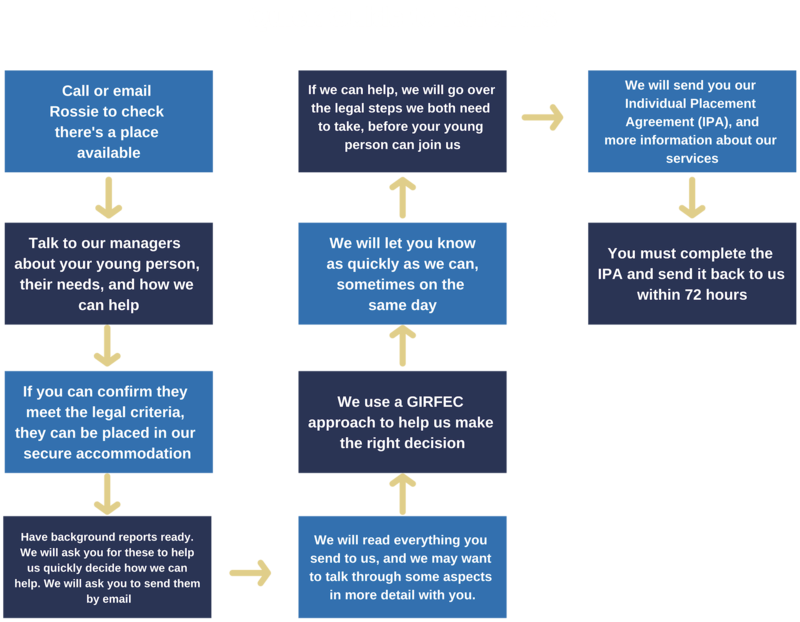 In the case of an emergency secure accommodation referral, we would require a letter, from the Chief Social Work Officer (or a delegate) for that young person, describing the reasons they meet secure criteria.